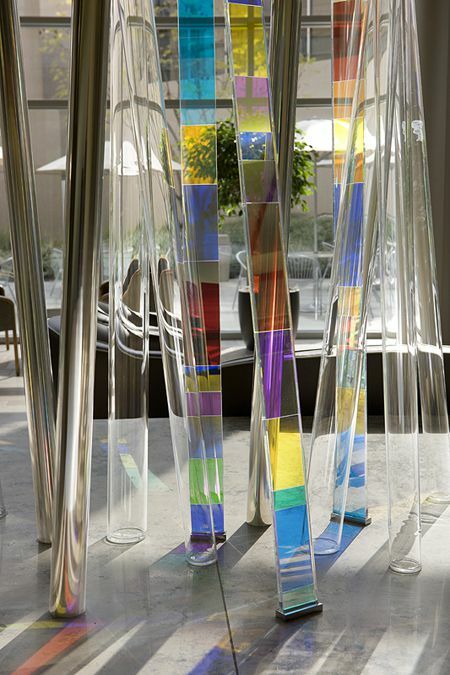 Light Forest was inspired by studying human DNA codes, which are unique to each individual, just as the perspective of viewing the installation is unique to each viewer. 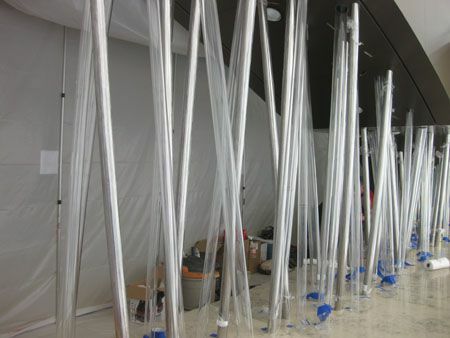 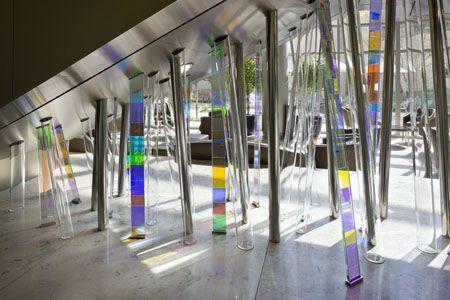 As you move by the installation, light dances and plays off the elements of glass tubes, mirrored stainless steel and ribbons of dichroic glass, causing the natural light to come alive. 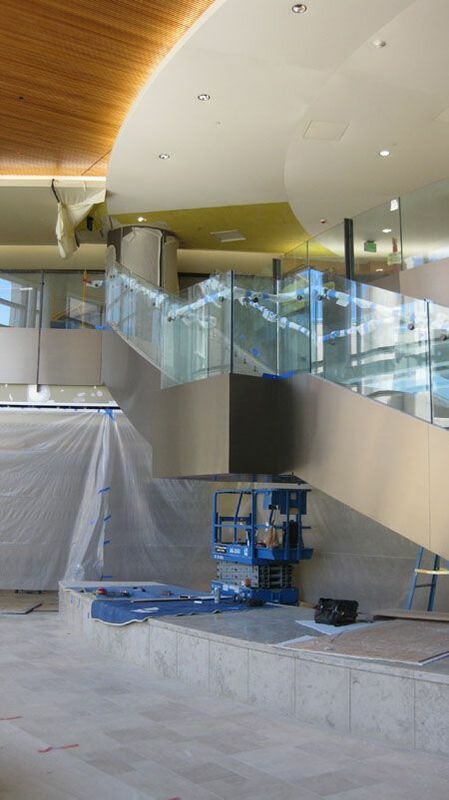 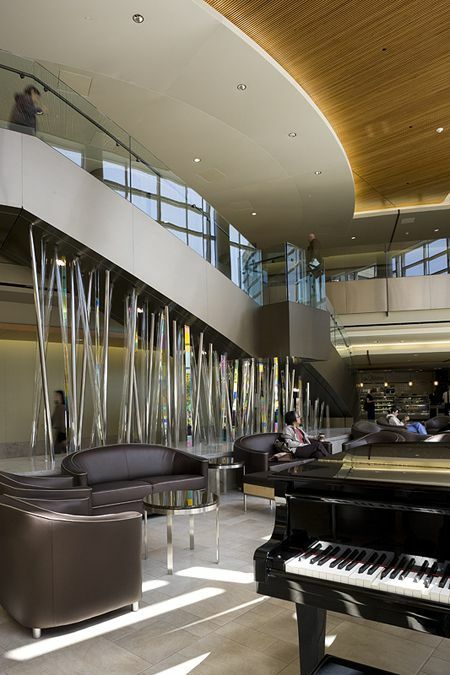 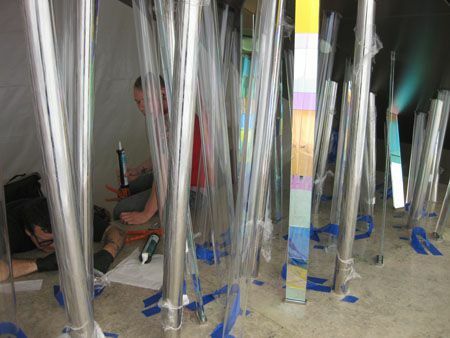 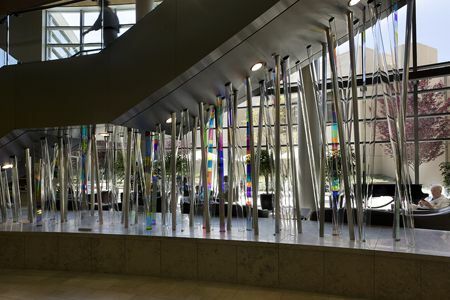 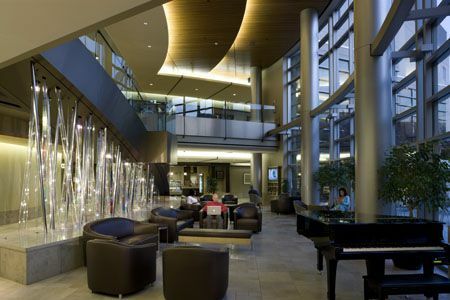 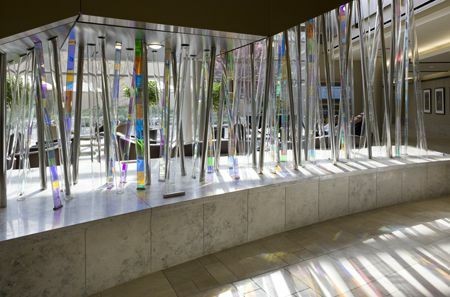 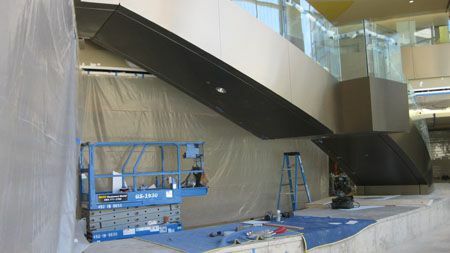 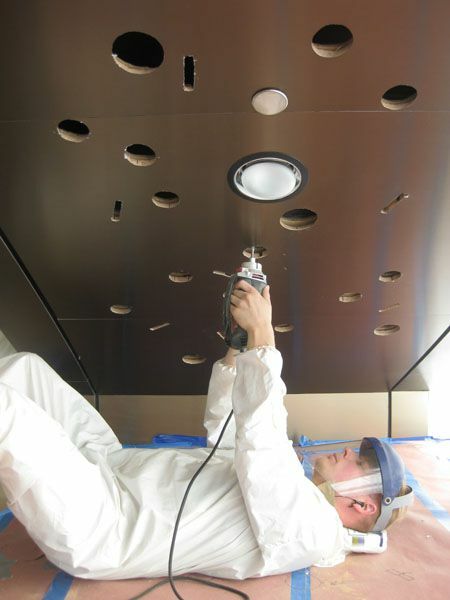 The installation is comprised of laminated dichroic fins, Pyrex tubes and mirror polished stainless steel tubes.